FORT HOOD, Texas -- Carl R. Darnall Army Medical Center's medics, nurses and doctors continually train through various venues to ensure they are providing the most up to date evidence-based medical care to the Soldiers and families here. But ensuring the readiness of the force is only one part of their job. They must maintain their own readiness, as Army Surgeon General Lt. Gen. Nadja West has directed Army medicine to focus on readiness and modernization to modify or create capabilities to better support warfighters' needs on the battlefield. For the past two decades, Army combat medics have been training with new gear and techniques to keep injured Soldiers alive during combat well past the so-called "Golden Hour" resulting in a record-level survival rate for wounded troops. 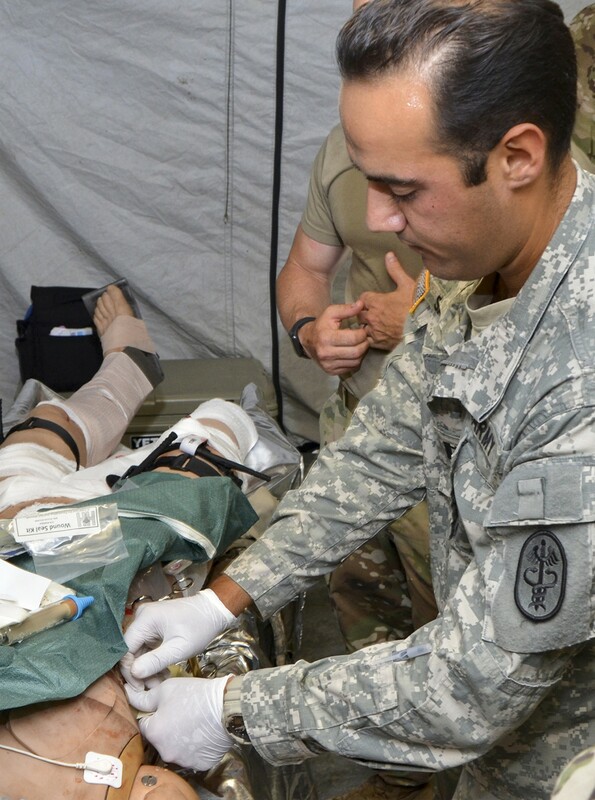 According to West, lessons learned from military operations in Afghanistan and Iraq led to the new expeditionary combat medic program and its expeditionary resuscitation surgery program, which is expected to further decrease morbidity and mortality during high-intensity conflict. 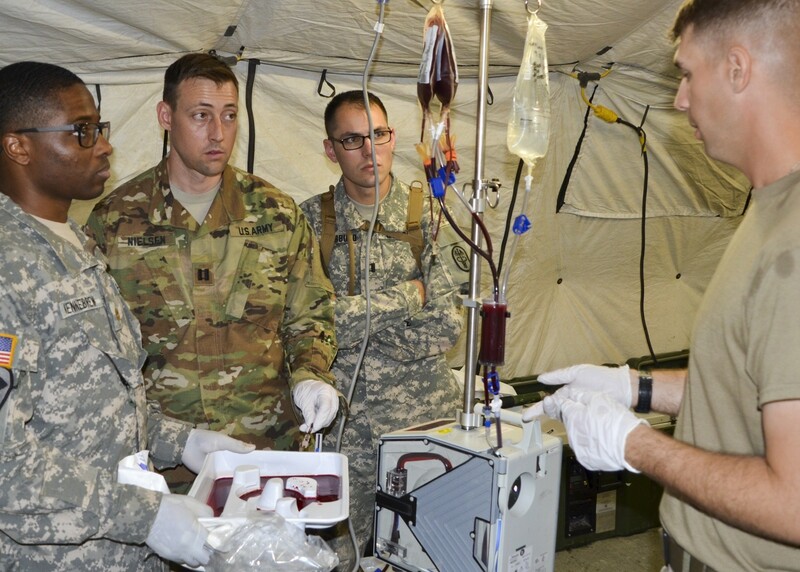 "Army medicine is changing its structure for deployments. The current Forward Surgical Teams will become Forward Resuscitative Surgical Teams. Two emergency physicians and an orthopedic surgeon now have been added to the team," said Maj. Benjamin Donham, CRDAMC Emergency Medicine physician. "There is a definite difference between hospital-based medicine and operational medicine in a combat setting. In a hospital trauma bay, you have all the people and resources you need. But in a deployed setting, you have limited resources. You will be taking on the role of medics and nurses and have to provide care to an extent that you normally wouldn't perform back at the hospital." As associate director of CRDAMC's Graduate Medical Education Emergency Medicine Residency Program, Donham wanted to give residents first-hand experience with some of the unique aspects that are inherent to treating seriously wounded and injured combat casualties. He has incorporated a Combat Casualty Care Tactical culminating exercise to the EM residency program. "Emergency Medicine Residency Program graduates will be heading to a FRST or a field hospital, so it's critical they get the experience of what they will be facing downrange," he said. The main thing that I stress to my residents, is that when they graduate from the program, they know hospital care really well. But it's a challenge to utilize your skills in an austere environment." The three-day exercise encompasses the full gamut of combat casualty care to include picking up patients at the point of injury, air and ground MEDEVAC, performing critical care and advanced surgical procedures, providing prolonged field care and handing off patients to a combat support hospital. 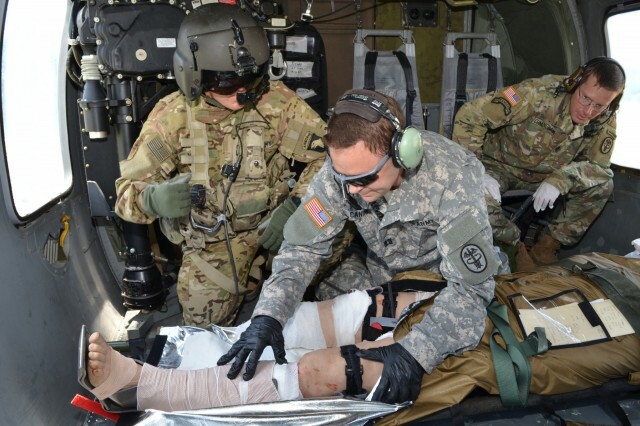 For the inaugural exercise in June, the residents joined other Fort Hood medical units from the 21st Combat Support Hospital's 126th Forward Resuscitative Surgical Team, 3/126th Aviation MEDEVAC and 43rd Medical Detachment Veterinary Services Support, for the training. Donham also brought in outside subject matter experts from the different services, all who have had multiple combat deployments with a joint austere surgical team and have served with Special Forces and Ranger units. The integration of all the different medical team members in the exercise and being able to see how the new team structure downrange will flow was invaluable, said Maj. Marie Carmona, 126th FRST commander. "We definitely benefited by having the physicians, surgeons and the MEDEVAC teams participating. We train frequently on combat field care, but it's rare to have the doctors and surgeons involved which leaves gaps in our training," Carmona said. "By bringing all the key players together, this exercise gives an understanding of how everyone will work together downrange. The medics have an idea of what the ER doctors do, and what they will be expecting of them and vice versa." To ensure a high level of realism for the exercise, Donham said he coordinated with III Corps' Surgeon Office and the Medical Simulation Training Center for high-fidelity mannequins and role players. The scenarios played out in the exercise were designed to challenge the Soldiers with a variety of combat casualty care cases. "In the medical field, we spend a lot of time training 'notionally' where we're told to do something, then just explain what we would do and fake the motions," Donham said. 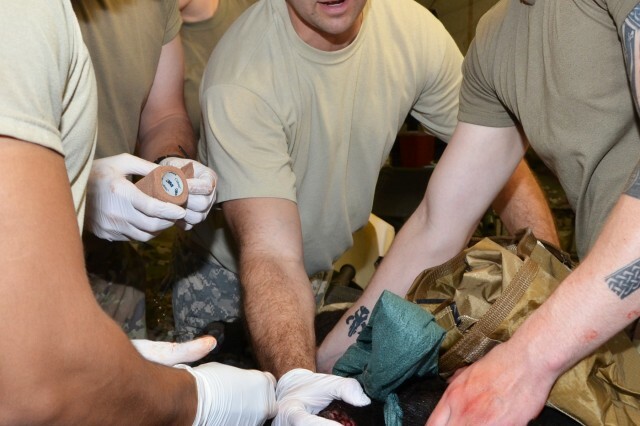 "For this exercise, participants actually performed specific treatment techniques such as closing wounds and inserting IVs. I think a lot of medical personnel are hungry for this type of quality, full-mission profile training." 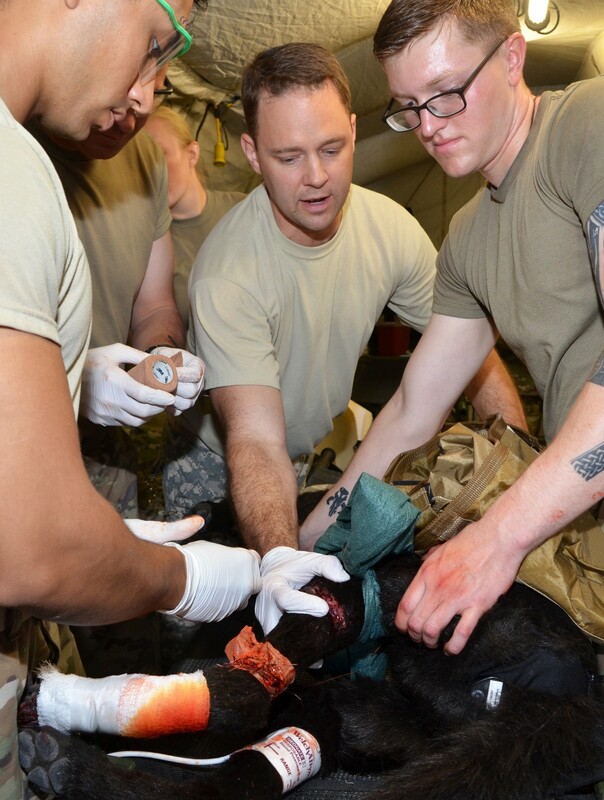 Also as part of the exercise, residents had to provide prolonged field care to a combat casualty. "In a hospital setting, EM physicians treat trauma patients and then pass them on to others for post-care. 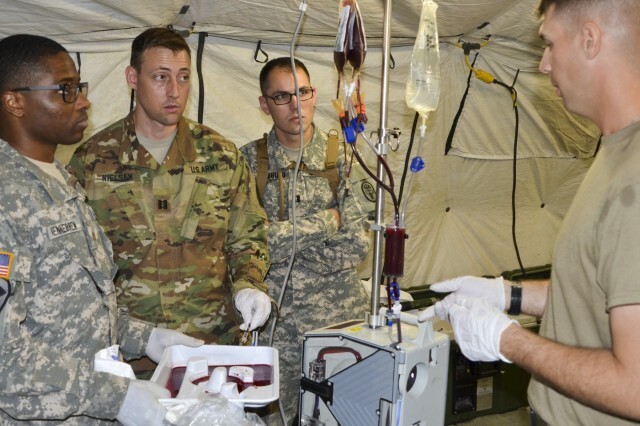 But in a deployed setting, they may not be able to immediately transfer their casualties to a higher level of care, so they need to think about how to manage a casualty for an extended period of time," said Maj. Christopher Mitchell, CRDAMC EM physician and GME instructor. 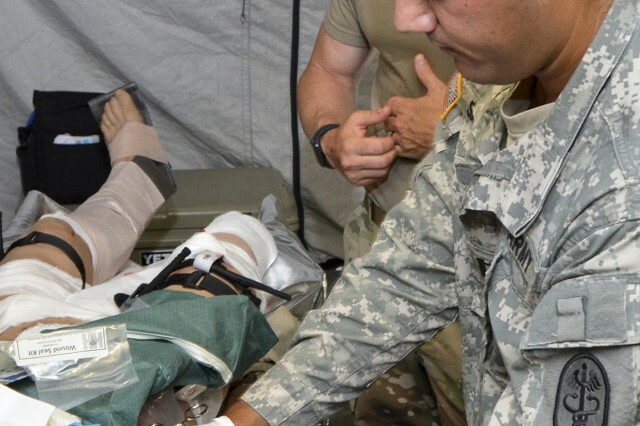 "This scenario helped them understand what's involved with the continuum of care of a combat casualty and exactly what role they will need to play to provide quality care in a combat environment." Capt. Curt Canine, who will be going to the 121st Combat Support Hospital in Korea after graduation, said he was impressed with the training. "Everything about the training was realistic. They created an authentic austere environment and the moulage was excellently detailed and represented true trauma. I liked how they exposed us to all different types of cases that we typically wouldn't see in the ER but would likely encounter down range such as treating a badly injured military working dog," Canine said. "I felt the addition of the outside SMEs, with all their collective years of experience in providing medical care in this type of environment, was especially beneficial. Not only did they give us professional advice on how to do medicine better, they also gave us valuable tips on how to function successfully in a combat environment."